The mandate of Comunn Féis an Eilein is to promote and preserve Gaelic language and culture through means that are commensurate with the values of our community. ‘Se àithne Comunn Féis An Eilean a dh’àrdachadh agus a shàbhaladh na cànain agus an dualchais Ghàidhlig tro mheadhan dhòighean a tha co-chòrdadh ri luachan ar coimhearsnachd. A Féis (faysh) is a community-based festival designed to promote the Gaelic language and culture of an area. The first Féis was held on the Isle of Barra in 1981. Today in Scotland the Féis Movement has grown to number approximately 36 community festivals. 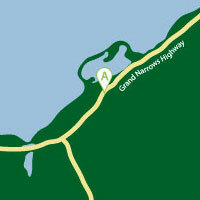 The community of Christmas Island, located on Cape Breton, is home to the first Féis to be held outside of Scotland . Our inaugural festival was held in 1991. The Féis Movement on Cape Breton has grown to number four others. In 1993 the steering committee for Féis An Eilein formed a Society to allow for increased community participation in the preservation and promotion of our indigenous Gaelic Culture. The Society is a well-structured volunteer organization and has elected Officers and Board of Directors. An annual meeting is held each May. Since our inception Comunn Féis An Eilein has gained a prominent position within the Gaelic cultural community. Dedication to our underlying principals has engendered respect amongst our peers. Indeed when Salter Street Films wished to film a traditional milling frolic for their Celtic Electric Special, resource people in the Gaelic Cultural community directed the producer to Féis An Eilein. Subsequently, a segment was filmed in Christmas Island for the show. 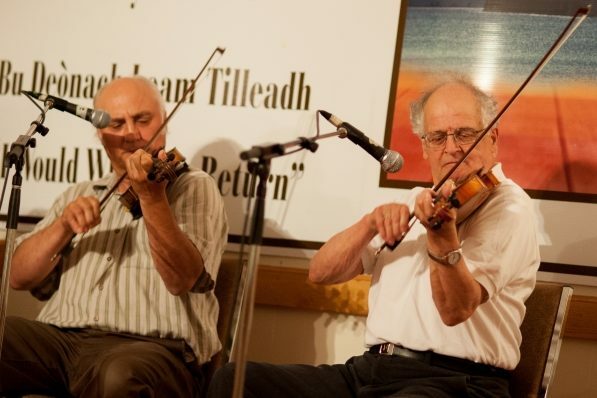 The annual Féis An Eilein encompasses workshops in Gaelic language and song, stepdancing, fiddle and chanter. A two day Gaelic Activities Camp for youth is held each year. 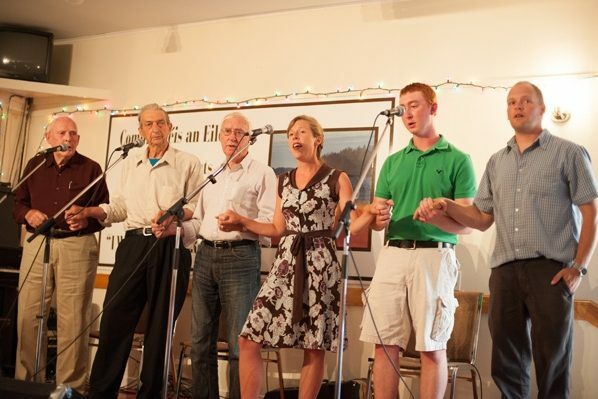 Another key feature of the annual féis is the provision of opportunities for visitors and residents to participate in the Gaelic culture through concerts, milling frolics céilidhs and square dances. Many of the entertainers at these social events took their first step dancing or fiddle lesson during one of our workshops. Proceeds of the annual Féis are used to offer classes in Gaelic language and song, step-dancing and chanter. The classes are subsidized by the Society and lessons are offered to children and youths at no charge. 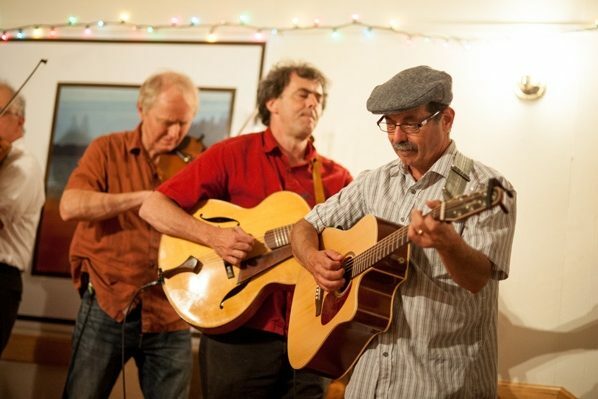 A day-long winter Féis is held each year when students can take instruction and perform before an audience at the milling frolic and céilidh during the evening. Presentation of our annual festival has given our committee in-depth experience in hosting major attractions. Each year the Féis draws approximately 2500 participants. Among our visitors are Gaelic learners and cultural visitors from all parts of the world. As our Society gains in experience we continue to sponsor additional events which are designed to raise awareness of and increase accessibility to Cape Breton Gaelic Culture. In 1997 we staged our first ever Piper’s Céilidh. The world’s foremost Gaelic pipers gathered at the fire hall to present a memorable evening of traditional piping. The event was sold out and we continue to present the Piper’s Céilidh as part of this year’s Gaelic Culture Concert Series. The first event was video-taped by the University College of Cape Breton for inclusion into the archives at the Beaton Institute. ‘S e féis stèidhichte air dualchas agus cleachdaidhean na coimhearsnachd a th’ann am Féis An Eilein. Chaidh a’ chiad fhéis a cumail ann an Eilean Bharraigh ann an 1981. An diugh, cumar 45 féisean gach bliadhna ann an Alba. Tha e freagarrach gu leòr gun deachaidh a’ chiad fhéis, cumte taobh a muigh na h-Alba, a cumail ann an Eilein Na Nollaig ann an 1991. Thàinig ceudan de dh’ in-imrichean dhan sgìre seo ás Eilean Bharraigh aig toiseach an naoidheamh linn deug. Cluinnear an diugh-fhéin blas breagha nam Barrach air cainnt sliochd nan tuinichean a thàinig a bhos gu Eilean Na Nollaig agus dha na coimhearnsachdan mu timcheall. Ann an 1993 rinn an comataidh-stiùidhridh na Féise comann oifigeil gus barrachd compàirteachadh a leigeil eadar a’ chomann agus a’ choimhearsnachd gus Gàidhlig na sgìre againne a bhrosnachadh. Tha Comann Féis An Eilein na comann cruthaichte le Oifigearan agus Bòrd-Stiùiridh taghta. Cumar coinneamh-bhliadhnail Féis An Eilein gach bliadhna anns a’ Chèitean. On a chaidh an Fhéis stéidheachadh, choisinn i suidheachadh cudthromach anns a’ choimhearsnachd Ghàidhealach air fad. Choisinn an Fhéis cliù am measg luchd adhardachaidh na Gàidhlig air tailleabh ar dìlseachd ri ‘r bun-tomhasan bunaideach. An da-rìreadh, nuair a bha Salter Street Films ag iarraidh film a dhèanamh airson am prògram, Celtic Electric Special, stiùirich daoine fiosrachail iad gu Féis An Eilein. Mar sin, rinneadh cuid dhen phrògram ann an Eillean Na Nollaig. Bheir an Fhéis bhliadhnail a steach bùthan-obrach anns a’ Ghàidhlig-fhéin agus anns na h-òrain, dannsa-ceumaidh, fìdhleireachd, agus ceòl an fheadain. Cumar, Campa Nan Òigridh, campa-cleasachd a mhaireas dà latha, a h-uile bliadhna. Bheir na cuirmean-ciùil, luadhaidh, céilidhean, agus dannsaichean cothrom do luchd na coimhearsnachd, agus dhan luchd-tadhail, pàirt a ghabhail anns an dualchas Ghàidhealach á Ceap Breatainn. Chìthear aig na cruinneachaidhean seo iomadh té-chluiche is fear-cluiche a rinn an ciad leasanan aig Féis An Eilein. Cleachdar toradh ás an Fhéis gus clasaichean anns a’ chànain, agus anns na h-òrain, dannsa-ceumaidh, fìdhleireachd, agus ceòl an fheadain a chumail . Maoinichear na clasaichean leis a’ Chomann agus bithidh iad ann, saor an-asgaidh, dha ‘n òigridh. Cumar latha-Féise gach geamhradh anns am faigh foghlamaichean ionnsachadh anns na bùthan-obrach agus far am faod iad pàirt a ghabhail anns an luadh is céilidh air an fheasgar sin. Air tàilleabh obair na féise, fhuair sinn mion-eòlas air mar a chumar cuirmean móra. A h-uile bliadhna thig mu 2500 duine dhan Fhéis. Am measg an luchd-tadhail seo chìthear luchd-ionnsachaidh ás iomadh àite air feadh an t-saoghail. Mar a gheibh sinn barrachd fiosrachadh, cumaidh sinn oirnn a’ cur taice ri tuilleadh chuirmean, a thogas mothachadh air dualchas Gàidhlig Cheap Breatainn agus so-ruigsinneachd dhan chultar cuideachd. Ann an 1997, chum sinn a’ chiad Chéilidh Nam Pìobairean. Chruinnich feadhainn dhe na prìomh-phìobairean dha ‘n t-saoghal gus cuirm-chiùil do cheòl dùthchasach a dhèanamh. Cumaidh sinn Céilidh Nam Pìobairean a h-uile bliadhna mar phàirt dhe ‘n t-sreath de chuirmean-ciùil Gàidhealach, Bu Deònach Leam Tilleadh. Chaidh an cuirm-ciùil a chlàrachadh le Oilthigh Cheap Breatainn airson Tasg-Lann Institiud Pheutanach.